I was going to post a book review this week, but it’s going to have to wait. Being an indie author, I try to read and review a lot of books written by other indie authors. I do this to help fellow authors out (reviews can be hard to get), to show readers that there are tons of high-quality indie books, and also to hopefully attract some of other author’s fans to my work. Since traditional publishers don’t tend to purchase ads on Amazon, books advertised on my Kindle are almost always self-published. So when I saw an ad for a book with a nice, but simple, cover and an interesting premise, I gave it a shot. When I went to the novel’s product page, I thought it was odd that it had a future publication date, yet I could buy and read it now. It also already had loads of reviews. Already, the title was breaking some hard and fast rules for selling eBooks on Amazon’s platform. So what gives? The novel was being published by Thomas & Mercer, an Amazon publishing imprint. I found this particularly infuriating after checking the top 20 Kindle bestsellers. Twelve were from Amazon imprints. The rest were a mix of self, small, and large publishers. When comparing the Kindle bestsellers to the USA Today and NYT Bestseller lists (even the exclusive ebook list), there was absolutely no overlap. So, if approximately 70% of ebook sales are on Amazon, how are none of these Amazon-published bestsellers on other bestseller lists? As an indie author, there are a lot of obstacles to getting traction on a new title. When a title is available for preorder, fans can purchase—but not read—it, however, those sales don’t count as launch-day sales and therefore don’t lift the book to the hot new listings. And reviews can only be posted after the book has been published, making authors scramble to get all the reviewers who read an early copy to post their review on launch day. But this Thomas & Mercer book won’t publish for another week, sits at #2 Kindle Bestseller, and has over 500 reviews. 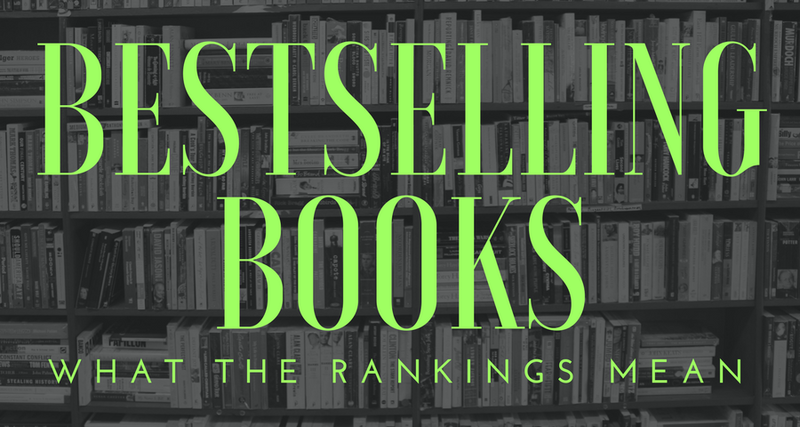 The best way to rise up in seller rankings is to encourage a spike in sales, which then can get punished as ‘attempting to manipulate the Kindle programs.’ The only alternative is a steady stream of sales which can be achieved by purchasing Amazon ads. But even after putting tons of money into advertising on their platform, they’re still going to show their books to readers more often. Then there’s the whole Kindle Unlimited program. The payout of less than half a cent per page almost always means fewer royalties than a direct sale, yet every borrow—regardless of the actual number of pages read—counts toward the bestseller rank. Now, if I took advantage of this little quirk to boost a book’s ranking, my KDP account would get terminated in an instant. But if anything appeared to manipulate the ranking for one of their books, there would be no reason to stop it or punish their authors and books. The ever-changing algorithms that Amazon uses in order to choose which books to display and put in front of readers means that self-published authors have to continuously adapt their methods in order promote their work. When a promotion method is successful and works with the current algorithms, it’s viewed as ‘manipulative’ and the algorithms change, which makes it even harder for authors to sell their books. I knew going into self-publishing that it would be hard, but I really wish that Amazon would better position themselves as an ally to indie authors instead of an adversary. Sometimes I’m tempted to pull my books out of the Amazon ecosystem and try to do just direct sales on my website. In the end, I guess the moral is that I’ll need to find my own way to publishing success. Although blazing my own trail will be difficult, I know I can do this, and all the work I put into my author career will be worth it in the end.